St Ronan’s Primary School in Newry has achieved the IQM Inclusive School Award with Centre of Excellence status. St Ronan’s Primary School was opened in 1994 to cater for the expanding Catholic primary population in the north east area of Newry. Since opening it has been led by three principals, the most recent of which, Mr Kevin Donaghy, is now in post for approximately 18 months. The school has seen a steady rise in pupils, from approximately 391 in 2013–2014 to 406 in 2017-2018, and the school is now oversubscribed and has a waiting list. P1 has a 3-class arrangement and all other year groups have a 2-class structure. Class size tends to be large, as the school has now reached the capacity of its accommodation. The pupil teacher ratio has been around 26 for the last five academic years. The school is situated adjacent to Sacred Heart Grammar School, and the two schools share part of a driveway. However, St Ronan’s Primary School has dedicated car parking for staff and parents, with a drop off zone in operation. The system appeared to work smoothly in the morning and the afternoon. The school building is effectively maintained, and careful use is made of available space. The school and its grounds are impressive, and credit is due to the building supervisor and his staff for their work in this regard, especially considering the inclement weather that was present for most of the winter and spring period. The school has been on its inclusion journey during the last eighteen month period which was enabled by the appointment of Mr Kevin Donaghy who successfully led his previous school through the Inclusion Quality Mark journey. St Ronan’s Primary is a Catholic Maintained school and the core values of catholic education are very much in evidence in school documentation and in the culture and values of the school. Over the last number of years, the school has embraced diversity as part of its inclusion journey, and small numbers of pupils are now attending whose families originated in other countries. More recently this has included the school welcoming children who are Syrian refugees. Although this has brought considerable challenges, the school is continuing to work to meet the unique needs of these children. One of the most exciting aspects of the school’s inclusion journey is through the Department of Education signature project, Shared Education. 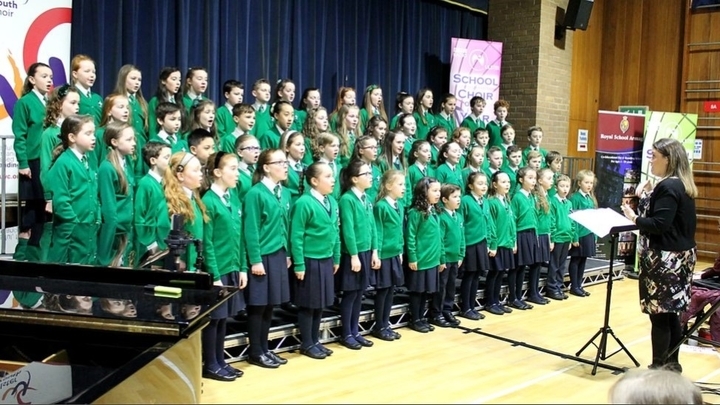 St Ronan’s is paired with an integrated primary school from the Banbridge area. There is a considerable buzz around this project from parents, staff and pupils, even though the engagement is only underway from January 2018 onwards. “There is evidence that digital technology is central in all curriculum and assessment delivery across all year groups and curricular areas. St Ronan’s Primary School has made considerable strides in its inclusion journey and though the school development planning process. It is an inclusive school that stands as an example to others of inclusion within the Newry Area. I am confident that as the school continues to further develop and enhance its practice in the area of inclusion it will become a beacon for inclusion. The Principal led the school through the IQM process, with contributions from other members of the staff. The completed Self Evaluation Report Document and other associated documentation was made available to the assessor prior to the assessment. This documentation, as well as publicly available information on the school, was considered prior to the assessment and used as a basis for suggesting programme ideas in advance of the assessment date. On the date of the assessment I was met at the front door by the Principal and a small group of pupils. Following initial discussion with the Principal and Vice Principal, I enjoyed the opportunity to engage with a wide range of those involved in the life of the school. This included a group of Prefects and members of the School Council who provided me with a tour of the school and its grounds. This group of pupils (Maria, P6; Roś, P7; Tom, P6 and James, P7) were enthusiastic about all aspects of their school and the education they received. They served as ambassadors for the school in their professionalism and maturity as they carried out this task. I also spoke with parents, teachers, classroom assistants, groups of pupils (some who had special educational needs), lunchtime staff, office staff, caretaking and cleaning staff. At the end of the day, the key findings were shared with the Principal along with some suggestions for areas for development, before a period of reflection and the report being written.